MIRI, Sarawak, Malaysia, February 19, 2012 (ENS) – Malaysian communities are asking the government to stop all 12 planned mega-dam projects in the state of Sarawak on the island of Borneo and to hold a referendum on dam construction. A conference of some 150 representatives of indigenous communities and civil society groups concluded Saturday in the city of Miri with demands that the state government address the adverse impact of existing hydroelectric dam projects in Sarawak and stop planning for more to power industrial development of the rainforest. Organized by the newly formed Save Rivers Network, the conference brought local civil society organizations together with indigenous peoples organizations and concerned individuals for three days. Discussions centered on the adverse impacts of dam construction on the environment and on the livelihoods of dam-affected communities. “In the workshop discussions, the participants unanimously expressed their clear intent to resolve these issues and continue the campaign until the demands are met,” said Save Rivers Chairman Peter Kallang. The participants agreed that the government must respect the right of the people to disagree with the proposed dam projects, as they are the ones directly affected. The delegates called on government to promote micro-hydro, solar, wind and biomass energy generation instead of mega-dams. They demanded that destructive activities caused by logging, plantation and infrastructure activities within the water catchment areas of all the river systems in Sarawak should cease. All the participants agreed that the government should, at the very least, conduct a referendum after a full and free consultation among the peoples affected by the dams. The indigenous communities represented include the Kayans, Kenyahs, Kajangs, Kelabits, Lun Bawangs, Ibans, Penans, Bidayuhs, Kedayans, Trings and Ukits. They are demanding immediate resolution of all outstanding issues of importance to people affected by the dams that are already in place or currently under construction. At the close of the conference, the participants issued a statement condemning the Sarawak government’s plans to build an additional 12 dams after Batang Ai, Bengoh, and Bakun dams. 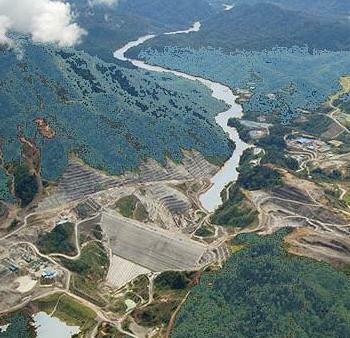 The Bengoh dam on Sarawak’s Kiri River is expected to be completed by the end of 2012. Some 250 families involving 1,500 people from four villages are rejecting the government’s resettlement plans to give each family a free house and three acres near the dam. Instead, they preferred to resettle themselves on higher ground upstream of the dam on their traditional territory. 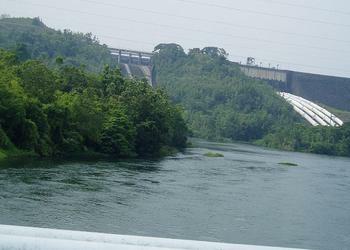 The 63 meter (206 foot) high Bengoh dam is expected to submerge about 8.72 square kilometers (3.3 square miles) of land. Wildlife habitat will be destroyed, affecting two species of hornbill and 50 other species of birds, seven species of bats, 14 species of mammals and 52 species of fish. Construction was awarded to Naim Cendera, a Malaysian company associated with the family of Sarawak Chief Minister Abdul Taib Mahmud, who is under investigation for corruption. The Bakun dam on the Balui River in Sarawak is the second-tallest concrete-faced rockfill dam in the world, and Bakun Lake is the biggest lake in Malaysia by storage volume. The 205 meter high (673 ft) dam began generating power in November 2011. The project, constructed by a consortium led by Swiss company Asea Brown Boveri, required the forced relocation of 12,000 indigenous people, mainly of the Kayan, Kenyah, Kajang, Ukit and Penan ethnic groups. Residents living near the dam say the river’s living biodiversity has been lost, fish catches are down and the water smells bad and is not safe to drink. By changing water quality and river flow patterns, the dam will potentially affect the thousands more people living downstream on the Rajang River, the longest in Malaysia. Energy generated by the Bakun dam will power industries, especially those within the Sarawak Corridor of Renewable Energy, SCORE, one of the five regional industrial development corridors in Malaysia. Communities argue that there is no need for Bakun’s electricity as Malaysia has a surplus, which will continue for decades. In Miri, the conference delegates demanded that the state government scrap plans to build more dams and stop bringing “dirty industries” into the state as part of the SCORE industrial corridor. “Our aim is to optimise the utilisation of natural resources through greater private sector participation, especially from foreign investors,” he says on the SCORE website. The top eight priority industries identified by Dandot for development in the SCORE corridor are: aluminum, glass, steel, oil-based industry, palm oil, fishing and aquaculture, livestock and timber, all of which have environmental consequences.